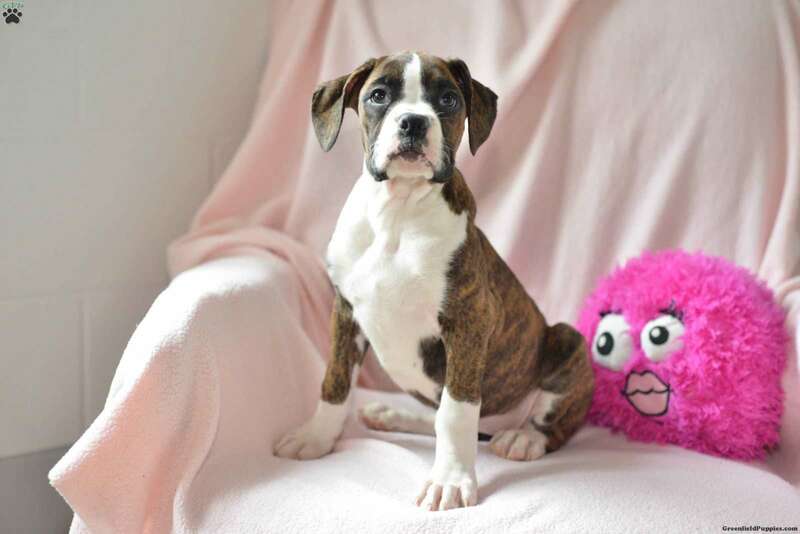 TickleMePink is a precious Boxer puppy who is ready to make you smile! 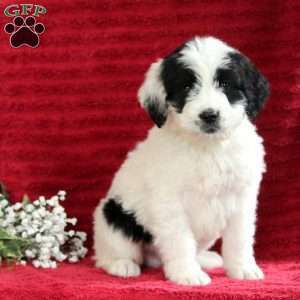 This cutie is family raised and is shown lots of love and attention. She is up to date on vaccinations and dewormer plus will be vet checked. TickleMePink can be registered with the AKC and comes with an extended health guarantee. 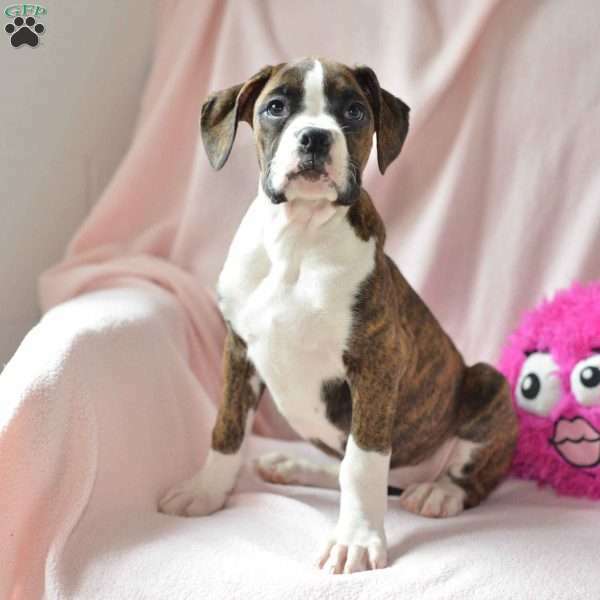 To welcome her into your loving heart and home, please contact Ada today.